I was already put in the mood for some Summer cooking when I stopped by Minnesota Monthly’s GrillFest a few weeks ago. But with no grill of my own and no central air, I’m faced with the challenge of capturing my Summer favorites without heating up the house. Sloppy joes are one of those foods I always forget how much I like until I’m eating it. I’ll usually bypass it at Summer parties in favor of BBQ chicken or my all time favorite, pulled pork. 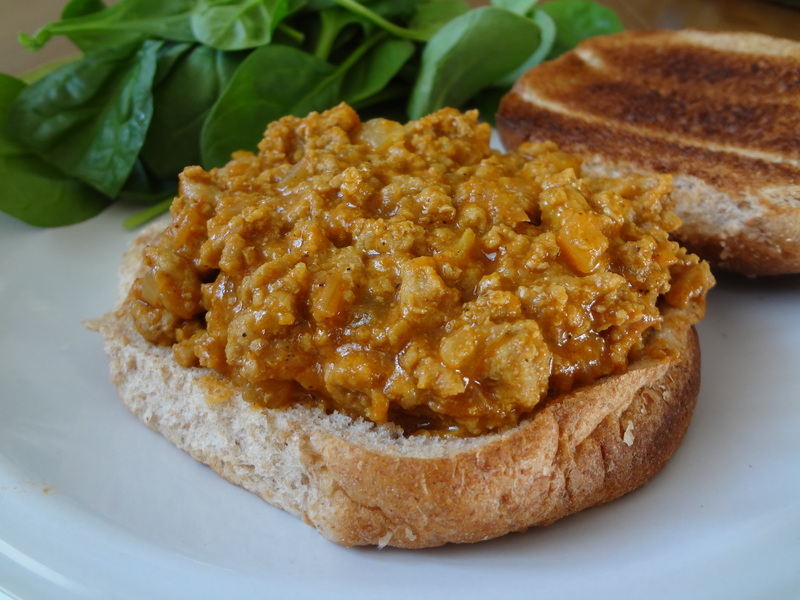 But after creating these sloppy joes, I’m considering making them my new standby! The caramelized onions in this recipe give a sweetness to the joes that works beautifully with the tangy sauce. I also used turkey in place of the standard ground beef to make it leaner, but no less delicious. Spoon it over a whole wheat bun, or use it as a nacho topping – either way, it’ll quickly become a year round go-to when you’ve got that Summer feeling! 1. Heat 2 teaspoons olive oil in a large pan over medium heat. Add the diced onion and cook until the onions caramelize, stirring occasionally, about 20 minutes. 2. Add the turkey and the spices and cook until browned through. 3. While the turkey browns, mix together the ketchup, mustard, chicken stock, white wine vinegar, red wine, brown sugar and BBQ sauce in a bowl and whisk to combine. 4. After the meat is browned, pour the sauce into the pan and simmer until thickened, about 10 minutes. 5. Serve your joes anyway you please and enjoy! 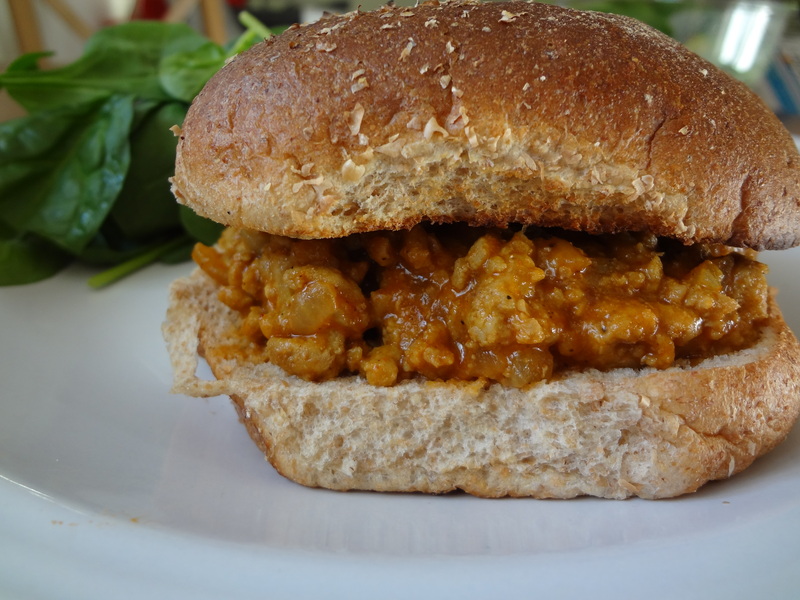 This entry was posted in Uncategorized and tagged bbq, grilling, light cooking, outdoor cooking, Sloppy joes, special sauce, Summer, Turkey by theculinarycapers. Bookmark the permalink.